Impact Broadway is a consortium that amasses the talents and expertise of two of theater’s most prized minds. Donna Walker-Kuhne and Cherine Anderson, bring over 40 years of collective marketing and audience development experience that can unequivocally claim stakes to shaping the way we, people of color, are perceived as performers and audience members. Donna has over 40 years of combined experience in the area of marketing and Audience Development. She has successfully demonstrated how to build strong cultural partnerships within the arts community. Her company Walker International Communications has generated over $13 million in earned income and developed new multicultural audiences for arts and culture institutions in the U.S. and abroad. 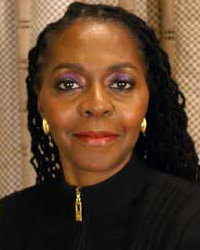 Her work has had a significant impact in the commercial arena as a consultant for over 15 Broadway productions including August Wilson’s Radio Golf, Ma Rainey’s Black Bottom, Gem of the Ocean, Caroline or Change, Russell Simmon’s Def Poetry Jam, Bring in da’ Noise, Bring in da’ Funk, Hairspray, Twilight Los Angeles, Wild Party, On the Townand The Tempest. With the changing demographics of this city, Donna believes that it is inevitable that there are new voices and new stories to be told. 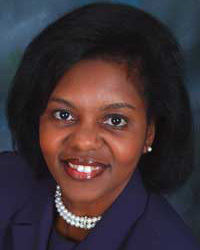 Cherine Anderson has been involved with the media and entertainment industry for over 20 years with a background in consumer, affiliate and event marketing, as well as production management. Having held key positions with such companies as Apel Inc. / Spero Media, ImaginAsian TV, MTV Networks/ Nickelodeon and DC Comics, Ms. Anderson has a proven track record for building brand awareness, creating and implementing promotions, driving sales growth through consumer promotions, developing integrated marketing plans and cultivating strategic partnerships. Cherine has managed the implementation of promotions and sponsorships for the Broadway Show Oprah Winfrey Presents The Color Purple, as well as A Chorus Line, the NBA Store and The US Open. In addition to Color Purple, Cherine has also contributed to the promotions for August Wilson’s Radio Golf and Cat on a Hot Tin Roof theatrical productions. Cherine’s experience also involves working in the television industry where she increased local ad sales revenue for Nickelodeon’s Kid’s Choice Awards, managing a 10 city radio promotion that generated the network’s highest rating and played an integral role in series launches that included on-air, online, print, in store and direct mail promotions.